• Mother-in-Law's Tongue (Sansevieria trifasciata): Filters formaldehyde, trichloroethylene, xylene, toluene and benzene. • Indian Aloe (Aloe vera): Helps clear formaldehyde and benzene. • Bamboo Palm (Chamaedorea seifrizii): Filters benzene, trichloroethylene and formaldehyde. • Money plant (Epipremnum aureum): Cleans the air effectively with a particular affinity for volatile organic compounds (known as VOCs). 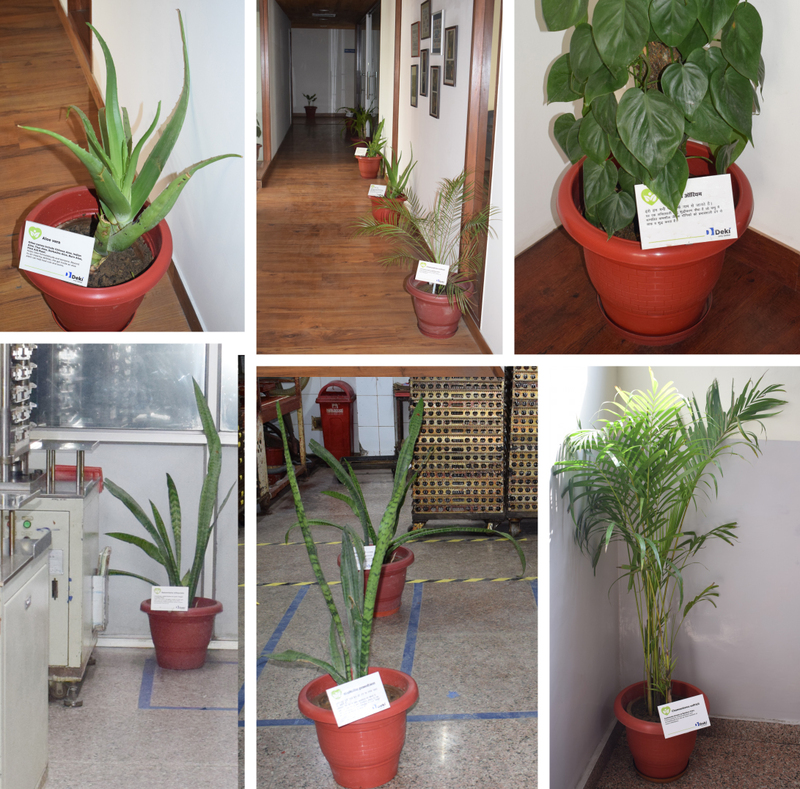 All the plants have placards in Hindi and English that identify them and the benefits they provide.